LOW EFFICIENCY AT HIGH COSTS. AGOCEL SMART is the latest guar-based rheological additive developed by the CHT Group to reduce costs of dry mix mortar systems caused by increasing cellulose ether prices. As a significant component in the formulation, the prices of rheological additives have a big impact on the overall costs. With AGOCEL SMART it is possible to replace medium viscosity cellulose ethers in different mineral systems. Thereby a cost effective and sustainable solution can be combined with good performances. 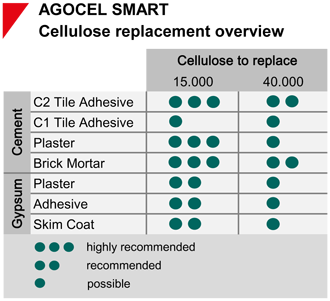 Replacing cellulose ethers is however only one aspect of using AGOCEL SMART. Additional positive properties can be obtained, which are usually provided by other co-thickeners. That benefit allows our customers to simplify the recipes and to save warehouse costs. Besides that, AGOCEL SMART provides excellent processing capabilities and an optimal viscosity. 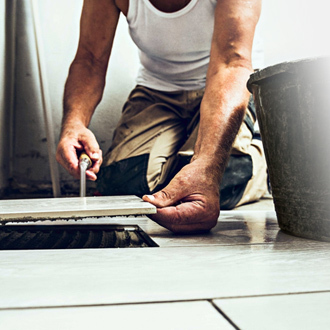 Our Technical Service is at your entire disposal to find the right key for a successful substitution.